The second winter storm in a week brought 7.9 inches of snow to Seattle on Friday night and Saturday. 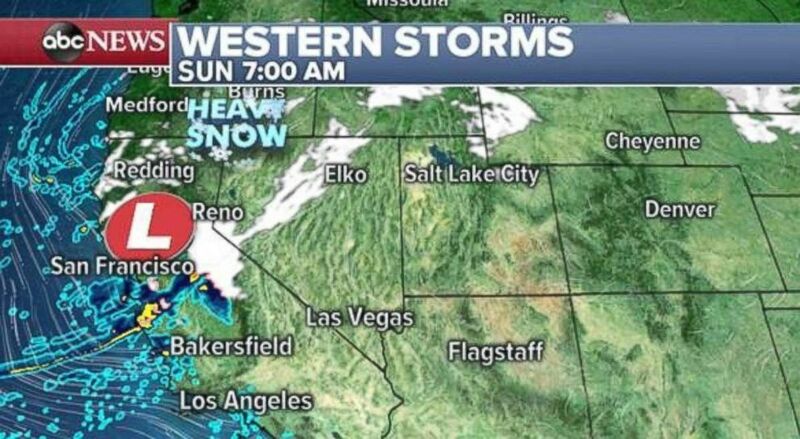 (ABC News) Precipitation is moving into Northern California on Saturday morning. 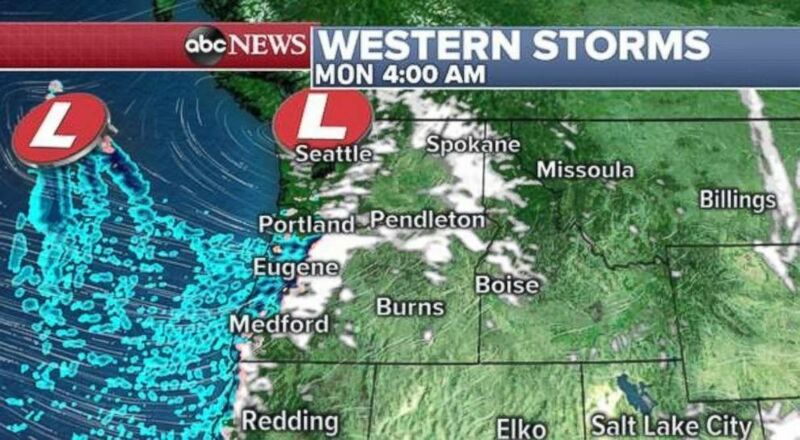 (ABC News) More precipitation will move into the Northwest on Monday morning. 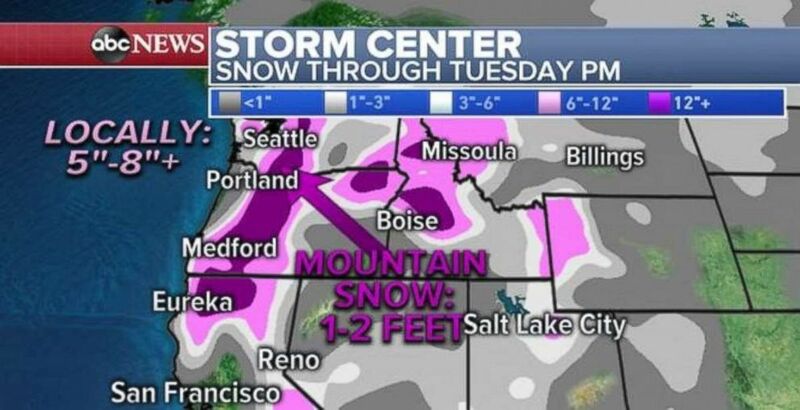 (ABC News) Seattle, which has already seen record snow, will see more through Tuesday night. 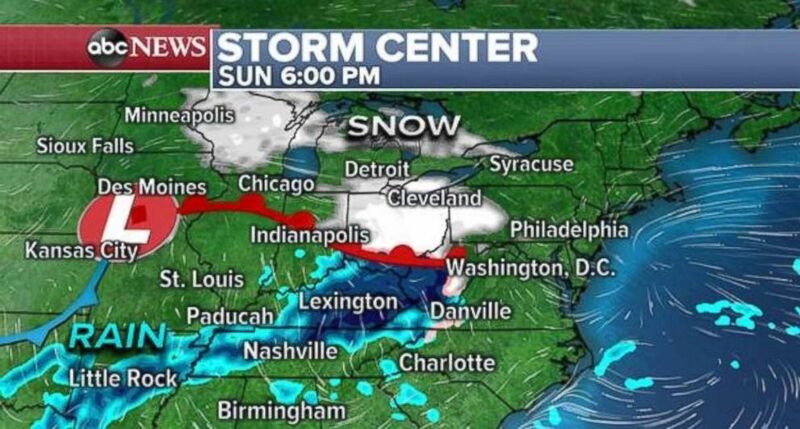 (ABC News) Snow and rain will move into the Midwest on Sunday night. 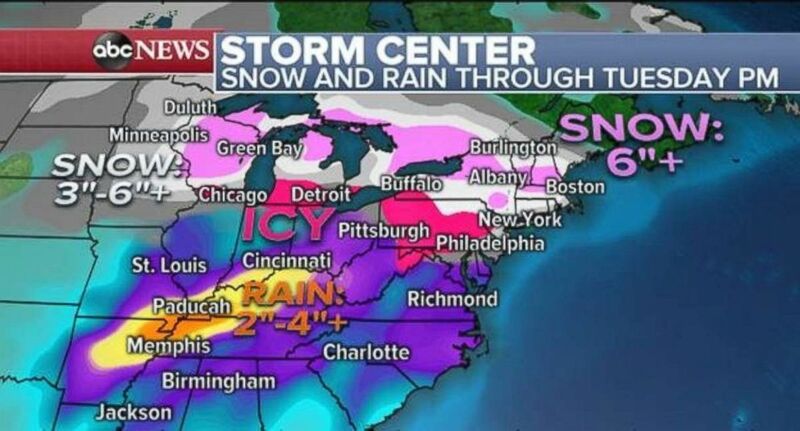 (ABC News) Rain will fall in the Mississippi Valley on Monday night. 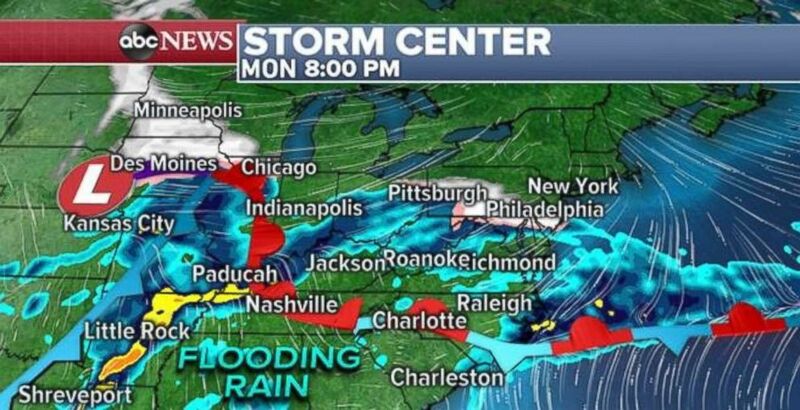 (ABC News) Snow will fall in northern New York and New England, while parts of Arkansas, Tennessee and Kentucky could see 2 to 4 inches of rain.